Hey, guys! Hope you had a fabulous 4th of July weekend! So, this past week it became official. I am now in training for marathon #3: the FREAKIN’ NEW YORK CITY MARATHON! I am proud to report that I successfully tackled all of the runs on my training plan, including the longest training run I’ve done since March. 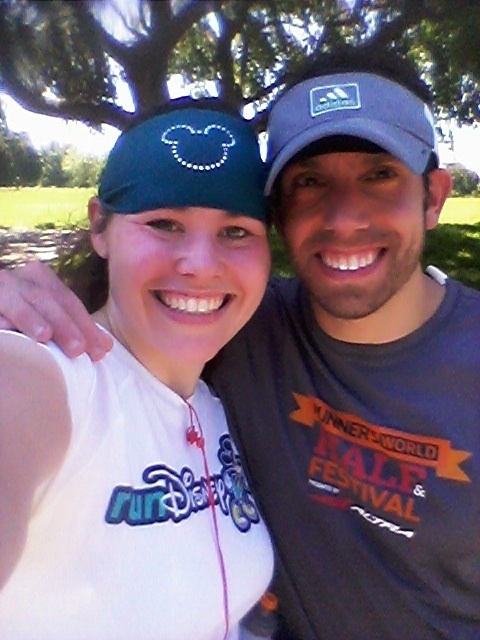 On Sunday, Todd and I ran 8 miles at another new (to me!) park, which was nice to explore…even in the 85+ degree heat (UGH). I’ve decided to follow Hal Higdon’s Novice 2 training plan. I was orignally going to attempt an intermediate plan, but I decided against it for a number of reasons. For starters, I’m not gonna lie…I really haven’t been running since completing my second marathon in March. Since then, I have tackled a few “just for fun” half marathons, but my training runs in general have been purely recreational: slow and inconsistent. I hate feeling as though I’m starting all over again, but I think when choosing a marathon training plan, you have to be honest with yourself — and right now, I’m just not ready for a five-day-a-week plan with more than one 20-mile run scheduled, thankyouverymuch. I did that for Dopey training, and while I absolutely credit Mr. Higdon with getting me across that finish line in one piece, I don’t think I want to take on a plan with quite that level of intensity right now. Secondly, my training is beginning in the summer. And as many of you know, this is the time of year when I turn into a whiny, miserable mess when it comes to running. I HATE logging miles in the heat, and there’s just not a whole heck of a lot I can do to change that. But I really, REALLY want to run NYCM, so I’ll be using that as my motivation to lace up my sneakers on these hot, humid summer days. This week’s runs were all tackled in temperatures that soared well over 80 degrees, and I definitely did not enjoy them. I can feel how out-of-shape I’ve become, and I’m frustrated by how hard running feels to me right now. I can’t help but think that it was only 6 months ago that I ran a marathon. How is that even possible when, these days, a 4-mile race feels like a struggle? Lastly, I plan to take full advantage of the fact that my teaching schedule is much lighter in the summer, and take as many karate classes as I can. 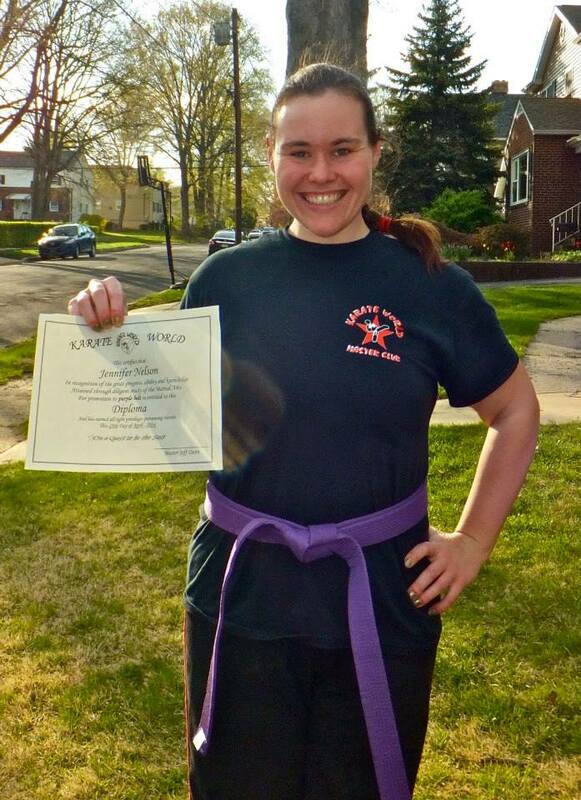 It takes me FOREVER to advance to the next belt level because it’s so hard for me to get to class, so I wanted a plan where I could still incorporate my Taekwondo classes and the occasional Thai class (because it’s pretty rough on the body) into my weekly routine. So far, that’s exactly what I’m doing, even if that means days when I double up on classes or run and take karate — although I know that may not be the smartest idea as my mileage increases later in the plan. The bottom line? In many ways, I do sort of feel like a beginner. My goal for my first marathon was simple: to survive. And that’s no joke. I wanted to finish the Dopey Challenge in an upright position, and I wanted to be in good enough shape to pose for pictures with Disney characters and have fun along the way. In my second marathon (Todd’s first) just eight weeks later, my goal was to make sure Todd survived. I was running the race with him, period, and decided several weeks in advance that I would not be setting any personal goals for that race (especially since I was WIPED OUT from Dopey training, anyway). So this is actually the first time that I’m taking on a 26.2 mile race with any sort of time goal in mind. I want to be conservative and say that I’d be happy with anything under 5 hours (Dopey took almost 6 hours with all the stops along the way, and DC was about 5:20 because unfortunately Todd bonked a little bit), but deep down I know I can probably set my sights a little higher than that. There was a time not all that long ago where I was thisclose to a sub-2 hour half marathon, and I think that with consistency and a whole lot of sweating this summer, it’s reasonable to set my “A” goal for the New York City Marathon at 4:30. My “B” goal is 4:45, and my final “I’ll take it” goal is currently 5:00. Of course, that can all change as I get going, but for right now, I am moving full steam ahead with my plans to pour everything I have into this marathon training cycle. All I want is to show up at the starting line of the NYCM in November feeling strong and prepared and ready to really RUN a marathon. How do you choose a training plan? I am so excited that so many of is are in marathon training mode right now! I don’t have a ton of friends in real life who run, so it’s fun to feel like I am not alone! I bet in a couple of weeks all that endurance will come back and you will be breezing through your long runs. The heat and humidity this time of year are definitely a struggle though! Can’t wait for the fall temps! I hope you’re right! I’m really, REALLY hoping to bounce back sooner rather than later. I know I’ll probably still struggle during my summer runs, but I know that taking so much time “off” from training has definitely taken its toll. I don’t regret it, because I feel my body needed it…but it’s still going to be quite the uphill battle for these next couple of weeks! I am also training for New York! It will be fun to read about your training experience and then the actual marathon itself! This will be my second marathon… but a 7 year gap! AHHH, that’s awesome. Glad you found me! I’m looking forward to following along with your NYCM training — and congrats for making the decision to train for another 26.2! Super exciting! Love the Mickey Bondi band! Did Todd run the Runner’s World races last year? Will he be running again? Do you feel like after running Dopey that you can do anything? I give lots of props to you all that ran that nd think you are amazing! I am currently training for the Goofy challenge, RnR Vegas, and TOT. To be honest, the only race I really want to do well at is TOT ( for corral placement for wdw and PHM). All others I just want to have fun! 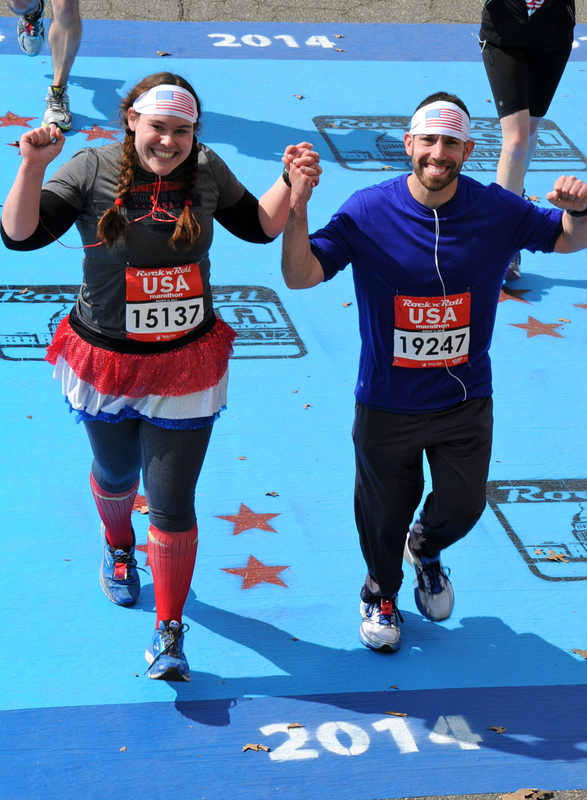 So, we both ran the Runner’s World races last October, but we probably won’t be back again this year. We’re running the Hershey Half, instead! Aw, thanks so much for your kind words, and to be honest…YES. After I put in the months of grueling training for Dopey, especially since it was my first marathon, now NOTHING seems so scary anymore! I can complain about running in the heat and worry about setting new PRs and blah, blah, blah, but at the end of the day, tackling that challenge gave me the confidence that I can do anything…as cheesy as that may sound. You’ve got some AWESOME races on your calendar. 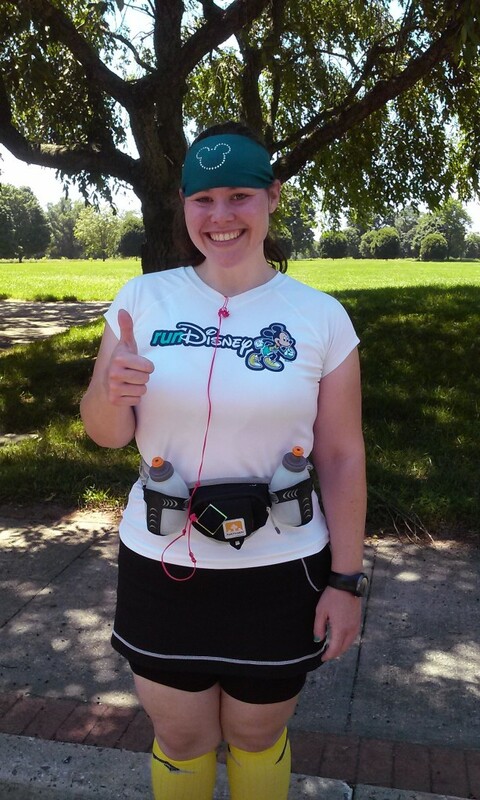 I’m totally jealous you’re running RnR Vegas, and hope to see you for the ToT…and, if not, definitely for Goofy! Sadly enough, pretty much all of the races I have planned this year are “for fun”…NYCM is the only one I’m planning to run for time, haha. Believe me, I TOTALLY hear you. I don’t even attempt to train for PRs in the summer. I just can’t do it. It can be tough to double up, and I’m sure it’s probably even worse with CrossFit! I know that can be ridiculously rough on the body, so then trying to run afterwards is no joke. I try to plan shorter runs (like, 3-4 miles, tops!) on the days when I want to squeeze in a karate class, and I always do it before class…because otherwise there’s just no way I’m doing it, haha. Running in the summer turns me into a hot, whiny mess too! Is it fall yet?? I turn into a hot, sweaty whiny mess too. Even though there are some great fall races, I don’t really want to do them when it means starting training in the summer. AGREED! I gotta say, I’ll take back those frigid winter days and never complain about running in the cold ever again! Looks like a GREAT week of marathon training! Welcome back to the world of running :0) I totally know how you feel about being back at the ‘beginning.’ Once I am totally recovered I’ll be in the same boat as you. In fact, if you have any recommendations for Dopey training, I would love to hear it! 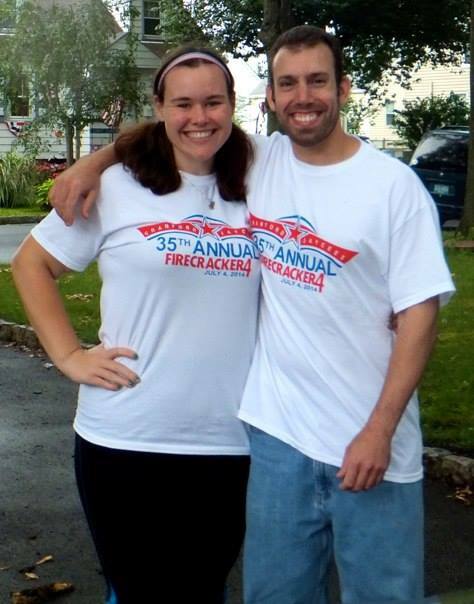 Best of luck in your NYCM training – I know you’re gonna rock it and get that 4:30 time! Thanks, Lauren! Happy to be back, I must say. I’m surprised by how quickly I can feel myself “bouncing back,” and I’m sure that’s how it will be for you, too! 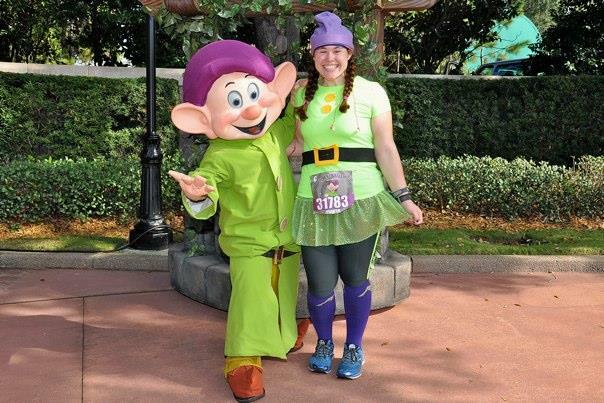 And I am ALWAYS available to share tips on running Dopey…you know I could talk runDisney all day, every day! Anything you want to know, just ask! Um, you guys don’t look like hot messes in that pic. You look great! Smart to start with a range of goals for the race now and see where training takes you. So excited for you! I LOVE the NYC Marathon! Hahaha, thanks, Karla. I definitely FELT like a hot mess! Agreed! I won’t put all of my eggs in one basket, so to speak, because we all know how many factors can end up affecting performance on race day! No matter what, I am BEYOND excited to run NYCM, no matter what my time is! That’s so exciting that you’re going to run NYCM! I’ve always wanted to do that one, hopefully someday. I’m training for marathon #4 now, and I also felt like I had to start over. My last full was in April, and while I had kept running, my highest mileage after that was 13 miles. So I decided to just start again at the beginning of training, and it’s a lot easier than I thought! I follow Runkeeper’s training plan, it fits perfectly into my schedule. I have no doubt you’ll get that 4:30! Thanks, Katie! I am beyond excited. I would fully agree — I was kind of nervous about the whole “go back to the beginning” concept, but now I see just how necessary it was…sometimes your body just needs a BREAK, and plenty of time to work its way back up to those 20-mile training runs! Best of luck on your training, looking forward to following along! Thank you! Hey, if I can do it, ANYONE can do it…taking on a bunch of half marathons will definitely make you feel prepared for that 26.2, believe me! Hahaha, you’re very welcome! Sounds a lot like me. I have a giant box in the closet full of ‘em — can’t get enough! Good luck in NY! 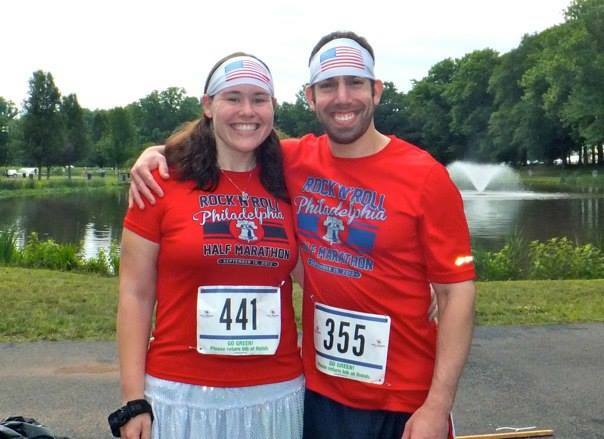 I would love to run the NYCM one day but first I am tackling my first marathon this fall in Philly. Can’t wait to follow your training. p.s. i saw you ran the Superhero half in NJ I also ran that race! So much fun. I was dressed as wolverine! Thanks so much! That’s AWESOME, congrats! I’ll be in Philly for the race (to cheer Todd on — it’ll be his second full!) so I’ll be looking for you. Hahaha, too funny! And now that I just went and stalked your blog (lol), I TOTALLY remember you! Loved your costume.